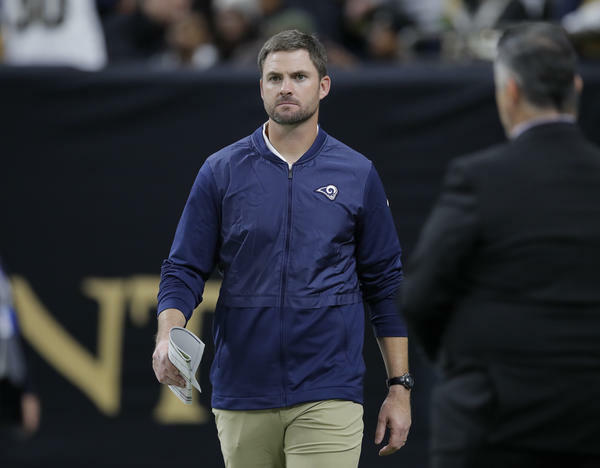 Then Los Angeles Rams quarterbacks coach Zac Taylor before the NFL football NFC championship game against the New Orleans Saints Sunday, Jan. 20, 2019, in New Orleans. Fresh off an appearance in the Super Bowl with the Los Angeles Rams, the Cincinnati Bengals have announced Zac Taylor as the 10th head coach in team history. Taylor, 35, served as assistant coach for the Rams for the past two years, helping lead the team to this year's NFC West title and, of course, Sunday's Super Bowl, where they lost to the New England Patriots 13-3. He's also coached with the Miami Dolphins and the University of Cincinnati. In a statement, Taylor says he's "happy and fortunate." "This is a great organization with good people and a rich history, and I am excited to get started," he says. "I am looking to add to that history by setting high standards, and holding everyone here accountable to those standards. There is a lot of work to do, and this is Day 1. We're going to attack every day with enthusiasm to get this team ready to go." Team owner Mike Brown likes the team's youthful direction. "Zac is a bright coach with an offensive mind and background, which is important to have in today's NFL," Brown says. "And he's young. He embraces new ideas and new ways to do things, which will be a good thing for us. I believe our team will be exciting and fun to watch with him at the helm." 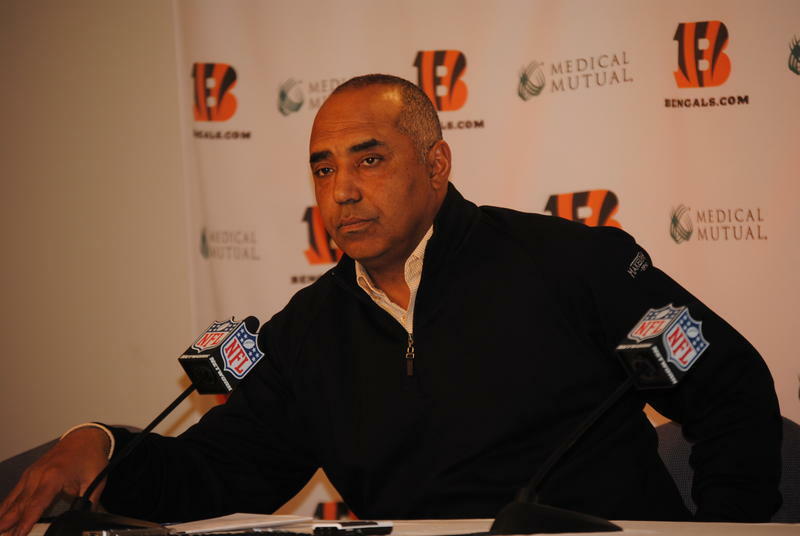 The Bengals and former head coach Marvin Lewis agreed to mutually part ways in December. Marvin Lewis is no longer head coach of the Cincinnati Bengals. The 60-year-old has been with the Bengals for 16 seasons and had a 131-122-3 record with the team. Other than the Steelers, there's one team every Bengals fan loves to hate. 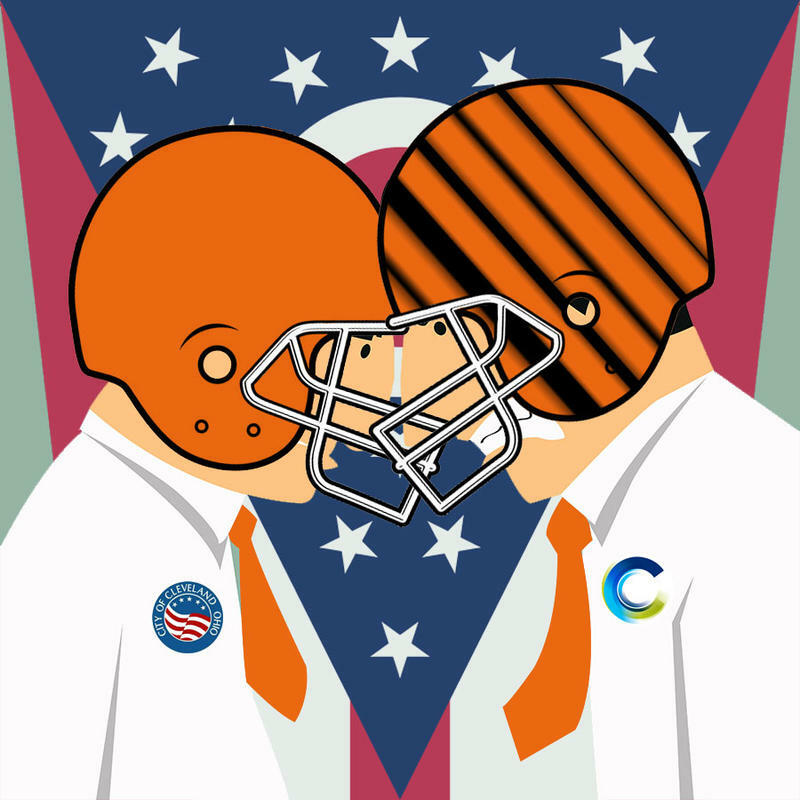 Cincinnati squares off against the Cleveland Browns Sunday in a rivalry that's only grown over the years... especially when former coach Sam Wyche famously chastised a Cincinnati crowd saying, "You don't live in Cleveland, you live in Cincinnati!" 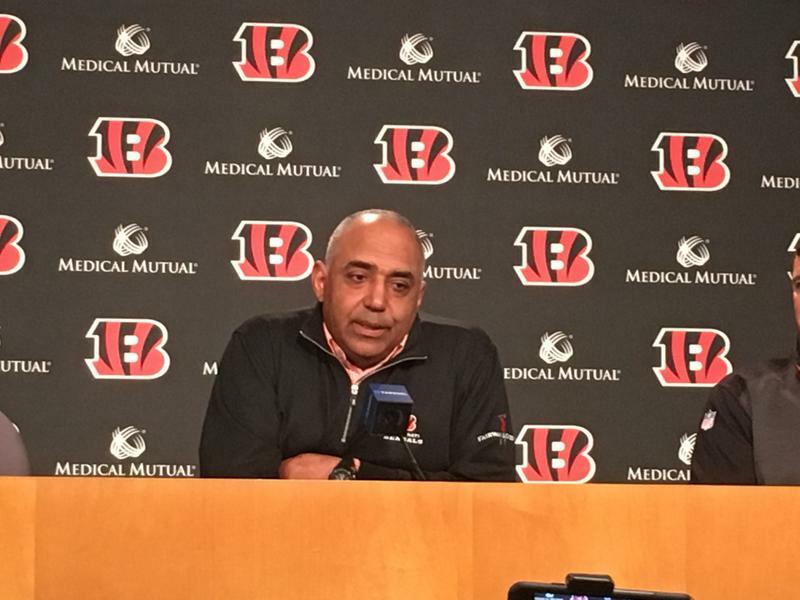 At a Wednesday news conference just after getting a two-year contract extension, Cincinnati Bengals Coach Marvin Lewis promised fans, "I'm going to work my tail off for them... (and) the City of Cincinnati to win a championship."